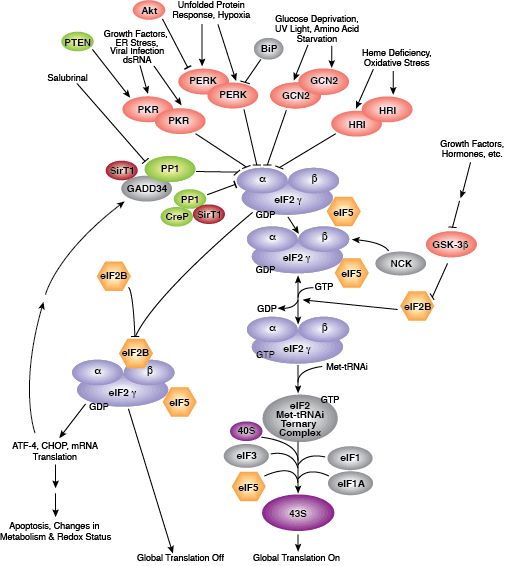 Gebauer F, Hentze MW (2004) Molecular mechanisms of translational control. Nat. Rev. Mol. Cell Biol. 5(10), 827–35. Steitz TA (2008) A structural understanding of the dynamic ribosome machine. Nat. Rev. Mol. Cell Biol. 9(3), 242–53. Sonenberg N, Hinnebusch AG (2009) Regulation of translation initiation in eukaryotes: mechanisms and biological targets. Cell 136(4), 731–45. 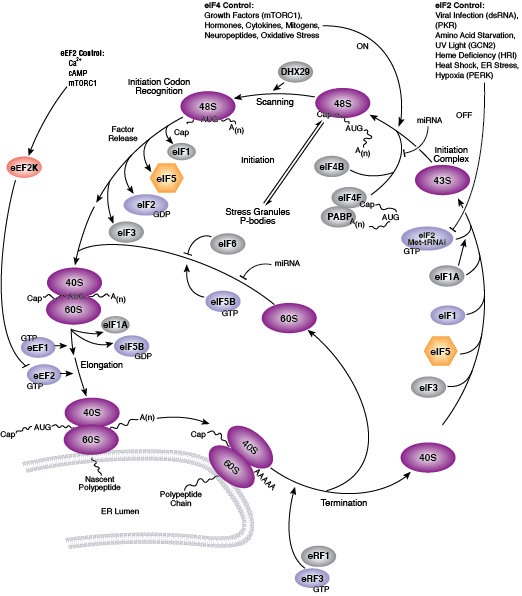 Schmitt E, Naveau M, Mechulam Y (2010) Eukaryotic and archaeal translation initiation factor 2: a heterotrimeric tRNA carrier. FEBS Lett. 584(2), 405–12. 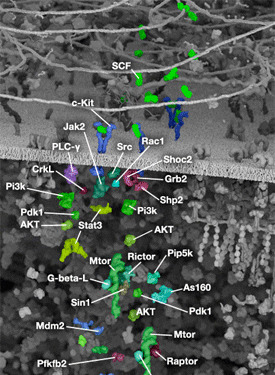 Parsyan A, Svitkin Y, Shahbazian D, Gkogkas C, Lasko P, Merrick WC, Sonenberg N (2011) mRNA helicases: the tacticians of translational control. Nat. Rev. Mol. Cell Biol. 12(4), 235–45. 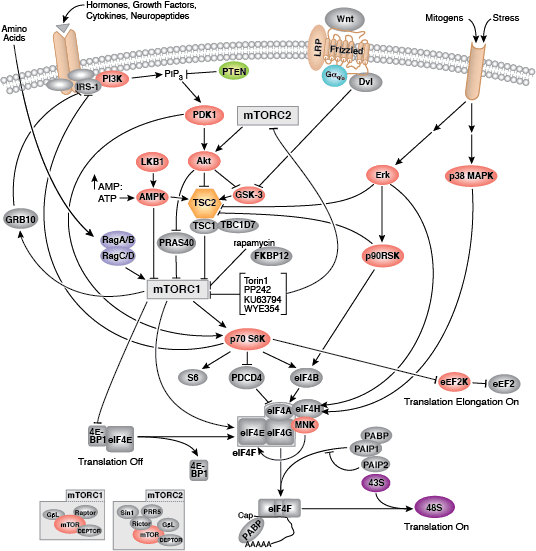 Magnuson B, Ekim B, Fingar DC (2012) Regulation and function of ribosomal protein S6 kinase (S6K) within mTOR signalling networks. Biochem. J. 441(1), 1–21.